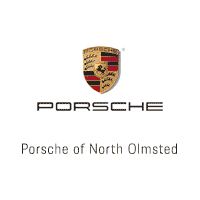 Porsche is one of the top luxury automakers in the world and stands out for its upscale sports cars that accommodate those who have a need for speed. The Panamera is a model that delivers a high level of performance and doesn’t compromise with its exterior styling or advanced features that are included. If you’re ready to own the model, there are a few main features to compare between the 2019 Porsche Panamera GT and the 2018 Porsche Panamera Turbo. Due to the electronic steering of the 2019 Panamera, the vehicle responds well to gentle commands of the steering wheel. The braking is also stable, and the vehicle has agile handling. The Panamera is outfitted with a twin-turbocharged 4.0-liter V-8 engine that has revised programming and lower boost pressure that is reduced. The car proves to be one of the fastest models on the road and can reach 60 mph in 3.9 seconds. The 2018 Panamera is built with a 550-horsepower twin-turbocharged 4.0-liter V-8 engine that can reach 60 mph in 3.8 seconds. The car delivers power to the rear wheels and offers all-wheel-drive for those who want increased traction on the road. A sport Chrono Package can be added that can reach 60 mph in 3.6 seconds. The 2019 Porsche Panamera is best described as a sharper four-door luxury vehicle that includes black-painted 20-inch wheels, with 21 inch wheels as an option, a sport exhaust system with black quad tailpipes, and a sleek bar that connects both tail lights on the rear of the car. Despite its large size, the Panamera still looks edgy and intimidating with sharp edges and lines that are present on the body. The four-door hatchback design of the 2018 Panamera Turbo makes it easy to recognize on the road with its sleek silhouette. The car sits low on the ground and includes its long hood with oversized headlights that are upscale and bold. It’s been slightly redesigned to include an elegant roofline with more dramatic aesthetics that cause it to be eye-catching. When riding in the 2019 Porsche Panamera GT, drivers can enjoy 18-way power-adjustable front sport seats that are supportive and comfortable. Additional features include adaptive cruise control, lane keep assist, traffic jam assist, night vision, soft close doors, heated seats, and four-wheel steering. The cabin is spacious and features soft upholstery with a high level of outward visibility due to the large windows that are present. Drivers can also take advantage of navigation, an infotainment system, and paddles on the steering wheel to adjust the different settings that are present. One of the top features that come standard in the 2018 Porsche Panamera is the 12.3-inch touchscreen on the dashboard, which features sharp graphics and controls the infotainment system. Additional features include satellite radio, an in-cabin air filter, dual-zone automatic climate control, a USB port, Bluetooth, Apple CarPlay, and a Wi-Fi hotspot. Drivers can also take advantage of upgrades that include ambient lighting, a 14-speaker Bose audio system, a rear-seat entertainment system, a rearview camera, a 21-speaker Burmester audio system, quad-zone automatic climate control, blind-spot monitoring, adaptive cruise control, traffic jam assist, and a surround-view camera. Contact or visit our dealership today if you want to learn more about how the 2019 Porsche Panamera GT compares to the 2018 Porsche Panamera Turbo and get a firsthand look at each version. You can schedule a test drive and also learn about our financing options that are available at our location.